Traveling to the Nanten2 telescope can be quite a physical challenge regardless of the amount of times they may have been to the site previously. We sometimes need to travel to the telescope for maintenance or retrieving data. Located at an altitude of 4865 m, oxygen is significantly less compared to sea level. A few weeks ago Matthew Freeman (PhD student from UNSW) and myself went up to Nanten2 for the first time for this duty astronomer shift. That being said, we are reasonably experienced with high altitude Matthew had earlier in the year went to Antarctica and spent about five days at Ridge A, and I have been to telescope in previous years. However, even for us we still can experience the effects of high altitude, as shown in the plots below. The effects of altitude can effect everyone in different ways, one of the measures to monitor our condition throughout the day is a oximeter, so when Matthew and myself went up to the telescope for the first time we recorded the measurements that the oximeter read out. The images below are plots of the heart rate in beats per minute (left image) and the oxygen level as a percentage (right image) when we were going up the mountain to the Nanten2 telescope. The red highlighted area indicates the times when we passed through the first ALMA security gate. Our trip to the telescope was short, this is due to safety measures when the first trip is restricted to four hours. The second trip is restricted to six hours and trips after that are restricted to eight hours. I am really unfit! The first data point for heart rate is due to me preparing the high site (which included checking the Ute and equipment). Even then my heart rate is higher than Matthew’s, this may be due to the number times I went to the cabin of the telescope. We were not sampling at a fixed time interval, this is because I was driving and we got a bit tired monitoring ourselves after a while :-). 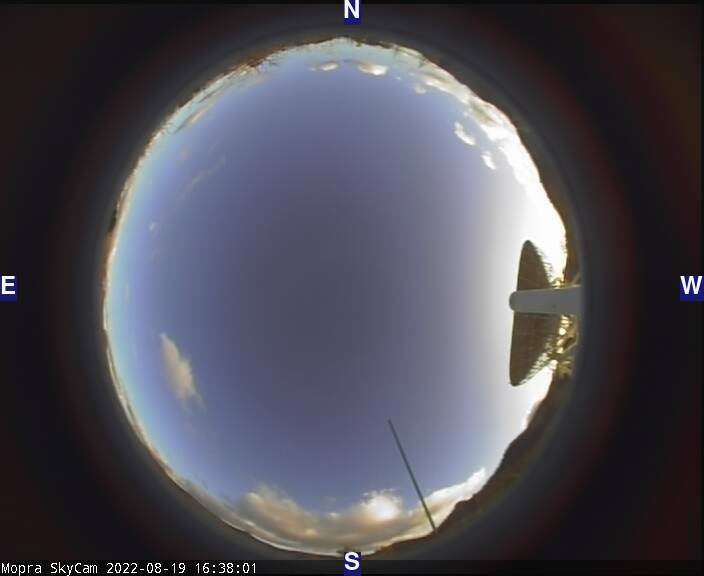 There is a period of time where there is only data for me, in the time around 2pm (CLT) I went to the cabin of the telescope while Matthew was in the control container. Normally the oxygen level you would want at sea level is around the high nineties, as you can see the level that Matthew and I were getting was around the eighties when at the telescope. You can even see the trend were Matthew and myself were going up the mountain.